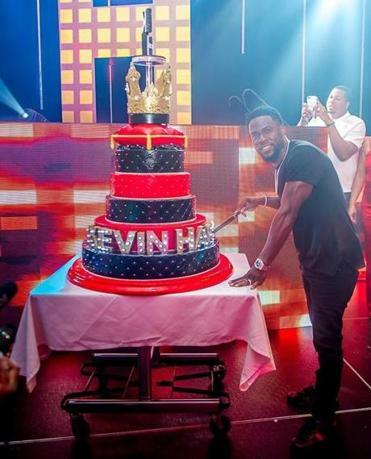 Comedian and actor Kevin Hart had an early 38th birthday celebration at Foxwoods Resort Casino the other night. Hart’s hometown, Philadelphia, declared Thursday “Kevin Hart Day.” (Thursday, July 6 was his actual birthday.) In case you’re wondering, the big cake is by Cake by Franck at Foxwoods.